This is how it all began. On February 15, I had two very clear and vivid dreams of great significance which I told Carla early in the morning on skype. The energies upon awakening on that morning were very uplifting, the vibrations were very refined and all-penetrating. They were taking me away on a cushion of lightness, my body was dissolving into an infinite field of benevolent and caressing light that was in sharp contrast to the toxic energies from the collective I usually cleanse all day long. First I dreamed that Carla and I were on a beach at the Mediterranean sea and there were some waves. We talked to each other and I said that it is time to show the people what we can do and that I would walk upon the water. I told Carla, I had the feeling that I am ready for that. I entered the sea and the water surface seemed to be firm but I still sank a little bit so that my legs were under water but then the buoyancy was enough to keep my body afloat above the water surface and I began to walk further out into the sea although the waves were somewhat unpleasant as the water was still cool. I remember that the people were looking at me when Carla made them aware of my walking upon the water but do not remember further details as to how they responded to this miracle. I must add at this place that my definition for a true transfiguration and ascension has always been, figuratively speaking, when I will be able to walk upon the water as Jesus allegedly did, that is to say, when I overcome gravitation and space. Then in my next dream I met with a group of people, most probably the PAT, although I do not remember any individuals. There came a middle-age woman, I did not know her, but she could have been Mother Mary as I knew that she is important for our ascension; she told us very excited: “Look here, I have brought a beautiful big loaf of bread, we will eat it next week on Tuesday or Wednesday when our big celebration will take place. 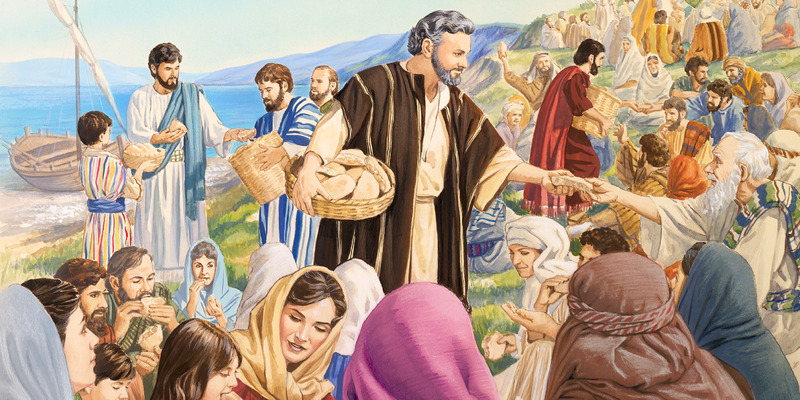 The bread reminded me of Jesus feeding the masses with five breads and two fishes (Matthew 14:13-21). I tried to remember in my dream whether Tue/Wed was the full moon portal on Feb 19/20 and when I woke up the first thing I did was to check the calendar and had a confirmation of that. I have announced this full moon portal as a portal of ascension as it opens up to the 9th dimension within our protuberance field and especially after I ascended on January 12th, 2019 to the 9th dimension in a light body. I was cheered by all souls as the first human being to have achieved this kind of ascension directly from the 3D and then I returned here on earth as an avatar to be available and instrumental for the final shift about which I am writing in this report. I immediately recognized that these two dreams are announcing a significant energetic event of great import for Gaia and humanity and that this is most probably the full moon portal on Feb 19th. Therefore, I was eager to share my dreams with Carla before she went to bed (midnight in Vancouver) and hear what she will get. While I was telling her about my dreams on skype a group of angels, more like cherubims, came to Carla and insisted with high-pitched voices that Carla should tell me something very important. Now I must say that this group of angels came to us first in December four days before Carla flew back to Canada late in the evening and announced a “full alignment of her astral body with the Source and that she should not be worried”. When I hear such statements from higher dimensional sources I always get worried as I could not figure out what these angels were actually warning us about. During the flight and thereafter Carla had a major cerebral event and after feeling very badly, with constant vomiting and nausea, she went to the local hospital. There she was immediately taken to the 7th dimension in a higher dimensional version of this local hospital and her brain injury from a tumor operation more than 20 years ago was healed by higher dimensional healers in a marvelous healing centre. Carla was fully aware of what happened to her. This event alone could be the best science fiction story of all times (after all we are incredible story tellers and all our energy reports are the most exciting fiction humanity has ever produced, in front of which even Homer‘s Iliad and the Odyssey pale, see also The Journey of the Planetary Ascension Team). If I have refrained from telling it so far, it was because Carla felt very sick after that for a whole month and I was very much worried about her health condition. But the good news is that Carla’s brain injury had to be healed by divine dispensation as The Elohim Amora told her later in a message, so that her I AM Presence could fully descend on Jan 19th, 2019, one month after she had this acute cerebral event. The descent of Carla’s IAP began though immediately after the higher dimensional surgical intervention on December 20th, 2018 at the hospital, which was actually a protuberance of the higher dimensional healing centre we have built in Vancouver and about which we have reported a lot in the past. The irony of destiny is that Carla, as a future miraculous healer, was the first patient in our healing centre and that is why she felt so sick for a long time before she could recover at the physical level. “We have held you in our fields (Elohim collective fields) of great love over this time period, always holding the sincerest conviction that opportunity would arise to heal this injury. We knew of course that before this surgery was to be carried out, that your third dimensional living conditions needed stabilization, and a safe home environment for your recovery was ensured. We knew this opportunity for a healing was drawing close and that is why we sent our messenger angels to you, to inform you of a major shift coming your way. It had to be clear and yet not a threatening or worrisome message for you in any way. The entire event operated through Divine Intervention. The healing was completed on December 20th at 3:33 a.m. This is when you were in the hospital nearby and through a protuberance of a Fifth Dimensional healing centre. You were also moved to a higher frequency for very specific adjustments, close to a 7th Dimensional expression. This was a beautiful moment for all of Creation, where one precious soul had been saved and we can rejoice, rejoice, rejoice! Your Presence is needed for the ascension of Gaia, therefore all measures were taken to preserve a positive outcome. Sleep often, rest well and drink energized water. You will feel a great deal of fatigue in the coming days. Embrace your I AM Presence that you discovered within /behind you, not 23 hours ago. Daniela is currently incorporating her IAP and she also has to struggle a lot with physical symptoms. This is not an easy process, guys, and if somebody tells you something else, this person has no clue. It took me more than 9 months of almost physical paralysis for my IAP to partially descend in my body when I was 21 years old and very healthy at that time (see here, catharsis of the soul). “I have been seeing visions for a couple of weeks of a home by the seaside, almost directly on the beach, facing in a southwest direction, toward Spain, on the east side of a small town. This morning I got this message from small angels that were hovering about 4 feet above the ground in my bedroom! I ask where this home is and I ask about each town: Imperia “No“; St. Remo “No“; St. Bartolemeo (east of Diano Marina, Carla heard this name and did not know where it was) “Yes, well nearby (? )” Diano Marina – “Yes“; (After a discussion with Carla she told me that it could be San Bartolomeo as it is actually part of Diano Marina.). I have a knowing that being in this home will “ease our transition“. “There is access through this portal with a direct connection to the carrier wave founded in love energy.  This is divine love, the energy of divine feminine, hence the magenta ray around each of you now. The Mother Mary Principle is the active principle of sacred/ pristine love from the Source, from which All is created. I interpret this “carrier wave founded in love energy” as the actual wave of the shift that will transform this reality energetically, at the quantum level, for ever and heave the planet to uppermost 4D and 5D. This is the Event which we describe as the “Shift”. “With respect to the move you are anticipating from your current abode: Yes, you are intuiting correctly that it is time to move along from your current home. A resolution for a new home is in the making and coupled with your (Carla’s) move to Italy. This move that is in creation now is a lower 5D move (upper 4D) where there is an interface with aspects of what you identify as the Higher Realms. A new home shall be created where there is a closer connection to the Beings [Agarthans] and realities [Agarthan Network] which you closely admire and desire to visit and live. The move is a necessary element in both your personal ascension processes and for the overall ascension process of humanity within the new paradigm. Trust that all is well. All is in hand. All is in perfect order. Your new abode (shared) nearby is an interception with the healing centre in the fifth dimension as a third dimensional expression. Great healings will take place there and will represent the first forward step toward the creation of a full ascended Fifth dimensional healing centre in this City of Light. There must be a third dimensional expression first before any further developments can unfold (in the ascension). The new abode is a shared home for the work of the Trinity; There are personal needs that will be addressed with this new home. There is no need to be concerned about any of the changes coming your way. Therefore, this urgent message of the angels of light was in full concordance with what we already knew. Carla is coming to Italy on March 22nd and the foundation for the activation of the healing centre in Diano Marina/San Bartolomeo had to be laid during the opening of the full moon portal of ascension to the 9th dimension on Feb 19, 2019. We always begin with the opening of major ascension portals 3-5 days prior to the actual date and that is why the angels of light came to us on the 15th of February, 4 days before the actual full moon portal and were so adamant that we should visit Diano Marina/San Bartolomeo as soon as possible. We had to activate the existing Infinity portal there and the new sacred flames of creation from the Source that will enhance our creation potential as ascended masters of Divine Trinity immeasurably (see below). Daniela and I decided to visit San Bartolomeo the next day, which I did not know well, and to walk along the sea promenade (lungomare) and see if we can get a feeling of where the new location of the healing centre and our new abode could be, precisely, where it will intercept with this 3D reality as it will be a higher dimensional healing centre and a place to live after our ascension. On February 16th, we drove to San Bartolomeo at noon and parked the car on a street bordering to Diano Marina and walked to the beach. First we walked westwards in direction of Diano Marina and we did not like what we saw – the coast line is full with rocks and stones and very unattractive, although there are a few very romantic houses there, where one could envision an interception of the city of light and the healing centre with this reality. As soon as we began with our walk, a massive, very powerful and almost violent wave hit us, actually only me as Daniela only felt the bliss of love which this wave brought. It came directly from the Source as my body was vibrating beyond description and also the ground began to tremble under my feet. We felt very heavy and tired all of a sudden, our bodies were aching, we were very nauseated and giddy, our coordination was impaired. I got a sudden excruciating headache and a stomach crisis as is always the case with such powerful cc-waves from the Source. At some point we had to sit down and have a drink at a bar on the beach as we were so giddy and wobbly that we could not walk anymore. The intensity of the vibrations was very much like the one which I experienced a couple of times while building the Infinity portal in White Rock. This is pure Source energy and it escapes any verbal description. We know that this is the second Infinity portal, here in Italy, and we were aware that we are now fully activating it. The vortex that we built was of incredible power, almost menacing to destroy the whole 3D reality around us. Words cannot describe what we experienced in that moment. In fact this wave must have destroyed some major energetic structures in this reality as when we finished with our walk, a strong wind came and the energies of Shiva began to blow away the debris of the old matrix. Carla had asked us to watch carefully for signs that would confirm the proper location of the new healing centre and our higher dimensional abode. Therefore we immediately noticed the two statues of Buddha in the bar, one of them on top of the roof. This was already an important indication as the atmosphere on the beach was of unusual calmness, if one neglected the massive vortex from the Source; the people were very relaxed and were enjoying the warm spring sun and clear blue sky on that peaceful Saturday morning. There were other notable signs indicating that we were at the right place. We parked our car on a street leading to the beach on the border between the two places. The name of the hotel in front of which we parked was Vergina, The Virgin, Mother Mary and on the other side of the street was a villa called Angela, the Angel. The angels of light announced the arrival of a tidal wave of Source light which will carry the Mother Mary principle of love and we were looking for signs of the presence of Mother Mary in this small town. And indeed we found them. In San Bartolomeo there is a very old defense tower, a ruin from the 16 century dedicated to Santa Maria, Mother Mary (Madonna), which is another sign as the angels are talking about her energies coming during this huge portal. From this place one has a beautiful view to south-west in direction Spain as Carla had envisioned our new abode and healing centre. Contrary to the stretch of coastline in Diano Marina where we first walked, San Bartolomeo has sand beaches, also directly in front of this old tower. Daniela told me that there is also a very old sanctuary of Mother Mary in San Bartolomeo (Santuario Nostra Signora della Rovere) up on the hills and that it is visited by many local citizens to pray and ask for miracles as it is considered a sacred place. Indeed Mother Mary’s pale blue energies of love and healing from the Source could be felt in the entire place of San Bartolomeo, where also a central square (piazza) carries her name, and this was another confirmation that we have approximately located the interception of the healing centre with this 3D reality. However, San Bartolomeo itself displays quite a dull architecture, contrary to Diano Marina, mainly ugly modern condominiums, so that I cannot imagine how this town could become the crossroad of many transgalactic civilisations that will come here to interact with us humans as this is expected to happen very soon when the shift will come. What we observe clearly now is a red thread of energetic events that occur in the perceived chronology of linear time, in reality, however, simultaneously in infinite timelines and probability alternatives, with a compelling inner logic, which, once understood by the insightful enlightened observer and participator, reveals the astounding precision and perfection in the coordination of the planetary and individual ascension process from the Source. We feel privileged to be blessed witnesses and major protagonists in this cosmic drama of epic proportions and do not even intend to hide our excitement about what will come very soon. The Five Flames of Ascended Creation – The Wheel of Light, and Life! Here is a profound and very beautiful message that has come to me over the past two days. Its import grew while receiving it and now I am so honoured to share it with all of you. When they arrived at this beachside area they experience an energy wave of such intense vibration that they have difficulty walking, with dizziness, and Georgi notices he is shaking. He has noticed this reaction before at the Infinity Portal in White Rock, near to Vancouver. They need to stop and rest to feel into the energies before they return back home. These five soft crystalline flames are beginning to manifest the world over as these photos from Romania show (courtesy to Razvan Neagoe, see also top photo). I would like to recommend you to listen to this musical composition on Water by the German composer and excellent channeler in German language Detlef Schönenberg. I came across him only yesterday. His latest video channeling live confirms this report and the tsunami of love energies that are now transforming humanity and earth beyond recognition as this will begin to transpire very soon. All PAT members should start building their personal portal of ascension by using the new five crystalline Source flames of the wheel of love and life which needs water in order to be successfully anchored. Detlef’s music on water will help you to perform this miracle.